Can a Roller Coaster Cause a Stroke? Roller coaster rides are a thrill seeker’s dream — fast, daring and, at the same time, more convenient and affordable than other thrills such as parachuting or deep sea diving. But are they really safe for your health? For the most part, a young healthy person can expect to be safe on a well-designed roller coaster. People with high blood pressure or heart conditions are always warned, with bold signs, to steer clear of roller coasters and adventure rides. But, there are documented cases of young, healthy people who have suffered life-threatening strokes caused by rides on roller coasters. While this type of roller-coaster-induced stroke is highly unusual, it is still important to be able to recognize the signs of a roller-coaster-induced stroke so that you can get help for yourself or your friends right away if a roller-coaster-induced stroke happens. The people who suffered from strokes after a roller coaster ride was usually healthy young people in their 20’s or 30’s who did not have any known health problems or stroke risk factors. The most common symptoms were dizziness, nausea, vomiting, and neck pain or vision changes. Sometimes, the symptoms do not begin during the ride and it can take a few hours for the symptoms to develop. 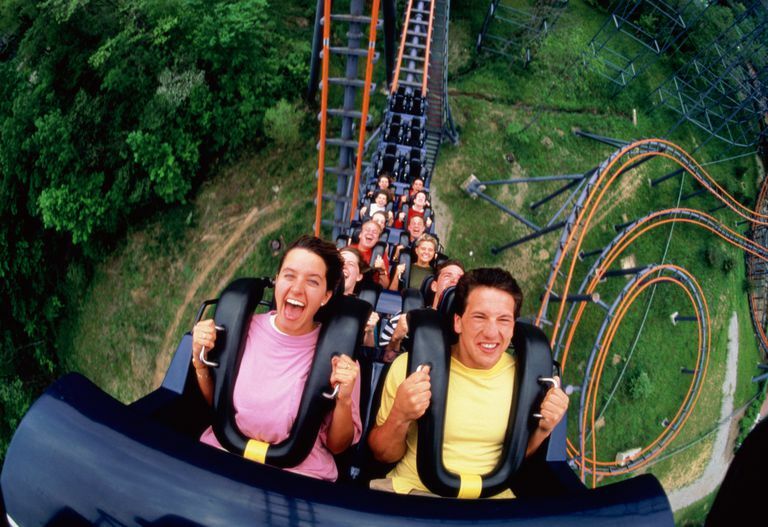 Why Can a Stroke Happen After a Roller Coaster Ride? A roller coaster typically moves at very fast speeds with rapid twists and turns, sometimes looping upside down. When your body moves with such abrupt jolts, your head and neck may jerk as the roller coaster suddenly turns, rapidly decelerates or halts to a stop. When you experience quick yanks on your head or neck, the movements can injure your brain or the blood vessels in your brain, causing traumatic tears and strokes. Most of the time, after a roller-coaster-induced stroke, at least one blood vessel tear is found. This makes the short-term recovery and care after a roller-coaster-induced stroke touch and goes for a while, as the stroke heals and the blood vessel repairs. In general, young people enjoying a day at a carnival or an amusement park with a group of friends want to avoid calling attention to symptoms so they don't ruin everyone else's fun. But, it is important to get professional medical help right away. If you experience some mild, uncomfortable or strange symptoms such as dizziness, headaches, nausea or vomiting after a roller coaster ride, be sure to tell your friends. Sit out the next ride and do not ride again until you are completely recovered. It is especially important to tell your friends what is going on because if you start to get worse, you might not be able to ask for help, but your friends will be more likely to notice changes in your condition if they have already had a warning from you that you aren't doing great. If your symptoms include vision changes, tingling, weakness or confusion, do not wait to see if things get better — get emergency help immediately. If you have a friend in your group who isn't doing so great after a roller coaster ride, make sure that someone in your group stays with that person, and get medical help immediately if symptoms persist or if they are severe. The fastest way to get emergency help is by alerting park officials or calling 911. If you have suffered a stroke after an amusement park ride, notify the park once you find out your diagnosis. While most people are safe on roller coasters, the park can take better precautions if they are made aware of all incidents.